Coconut Stuffed French Toast, can you imagine? 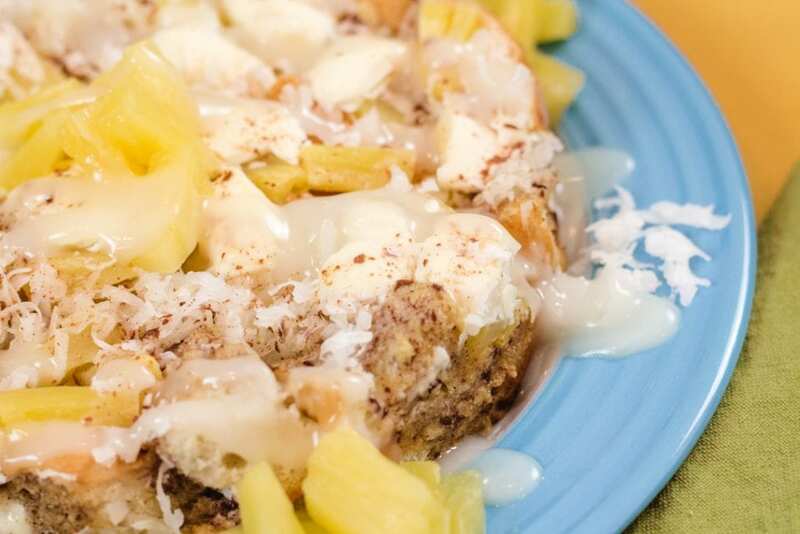 Fortunately, you don’t have to, you can make this amazing Island French Toast stuffed with Coconut, Pineapple and Cream cheese year round to enjoy. 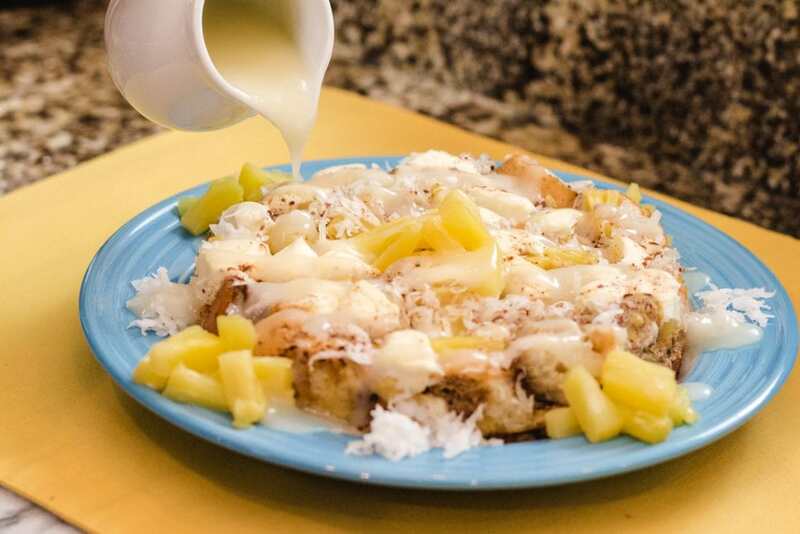 The First time I had a Coconut French Toast, I was in Heaven! 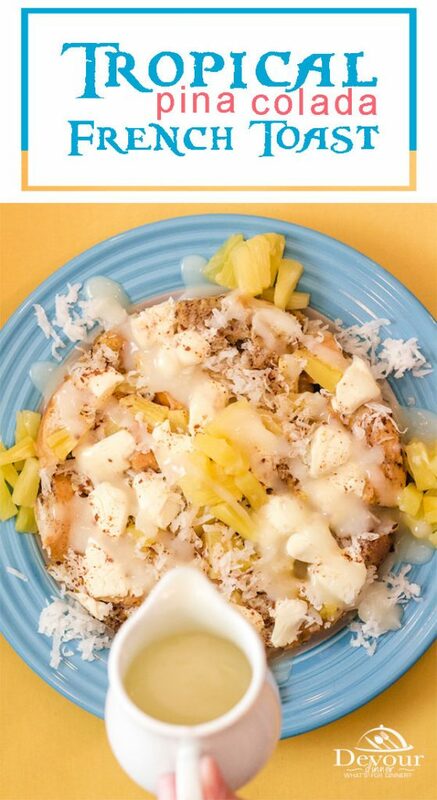 I loved the toasted coconut and Pineapple garnish with a rum glaze. Wow! It knocked my socks off. 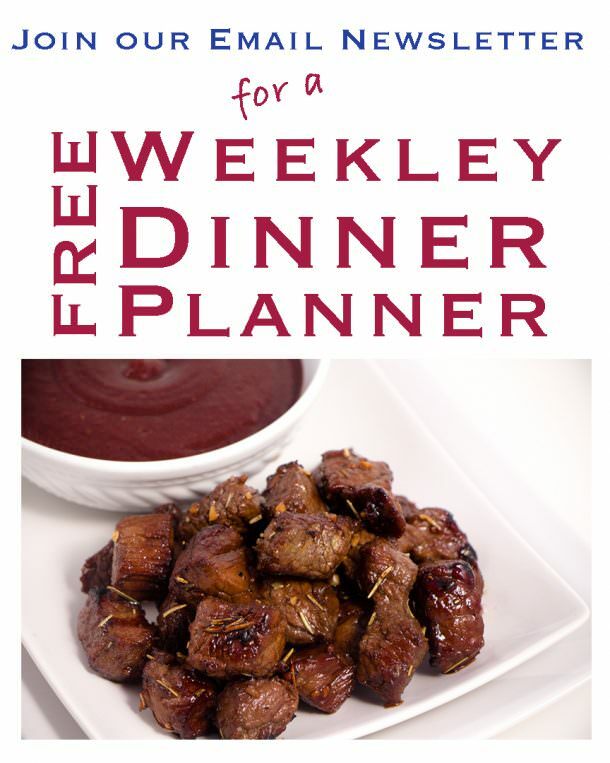 I loved it and have been making forms of it ever since. 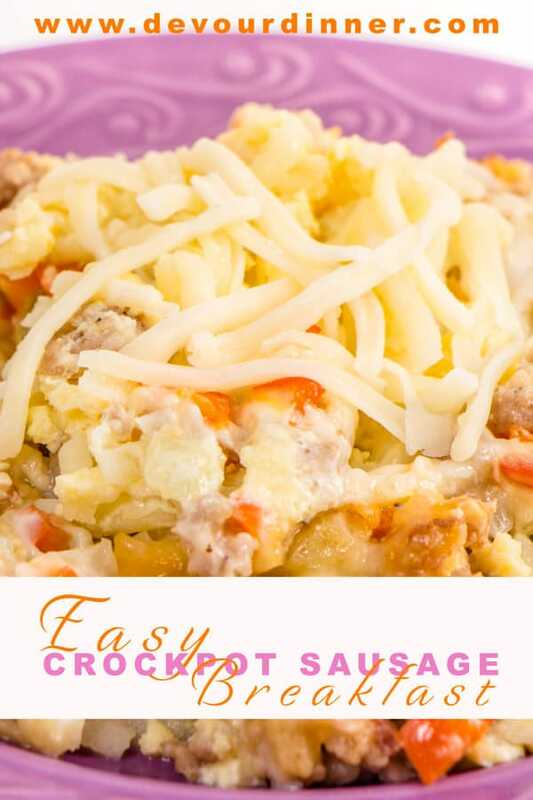 This version is delicious made in the Instant Pot! 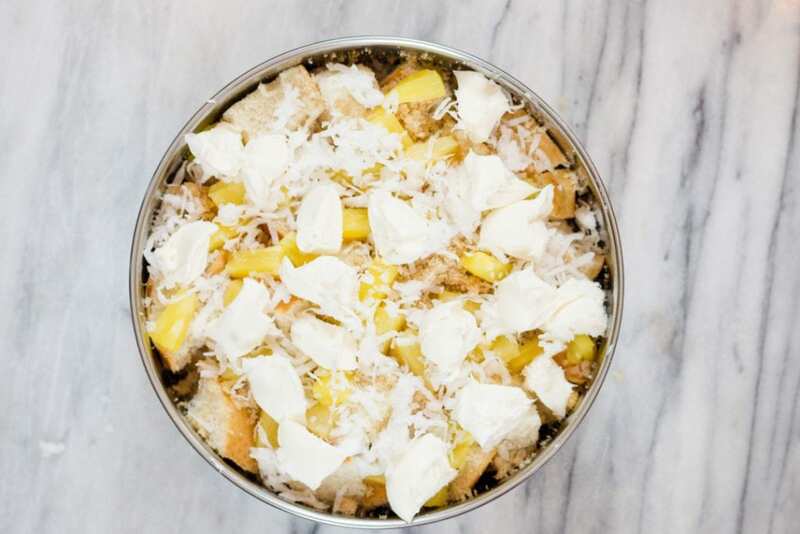 What is Coconut French Toast? 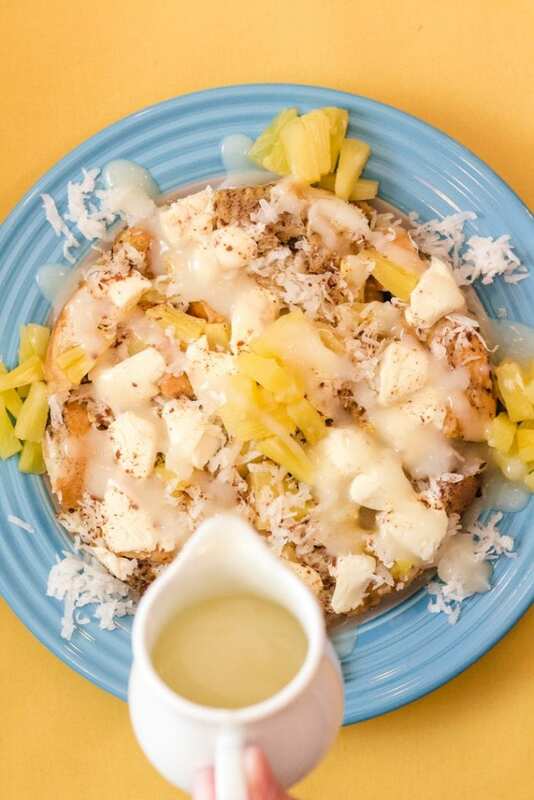 Coconut French Toast is just as it sounds. 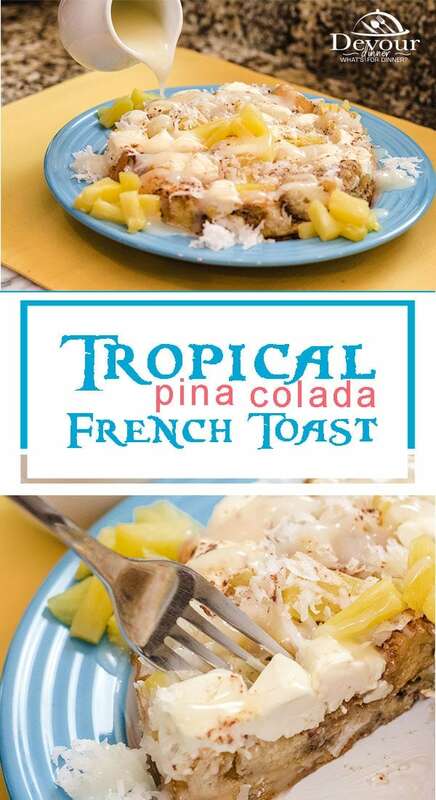 A French Toast made or garnished with Coconut to give it a light island flavors with added Pineapple as garnish. Oh it’s delicious. 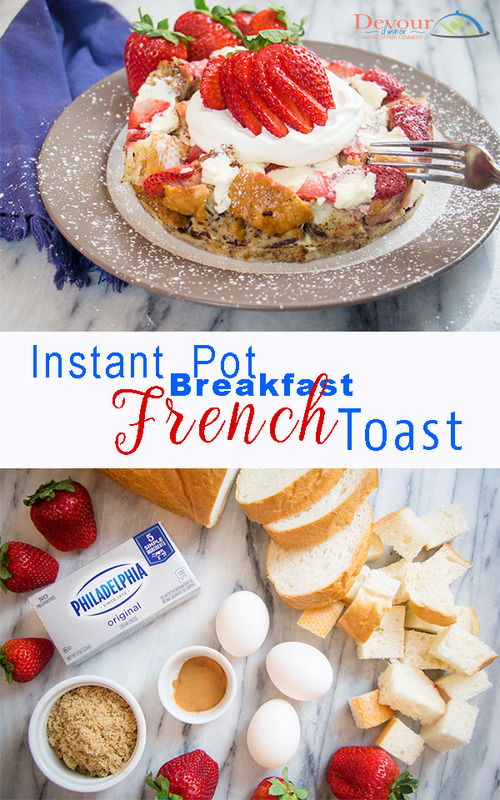 If you have tried my other Stuffed French Toast Recipes, this one is another variation. 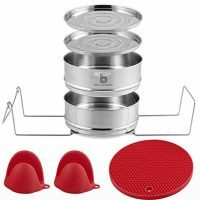 I use my 2 tier pot in pot Instant Pot Accessory Pan where I can make 2 separate French Toast at once. One in each pan. 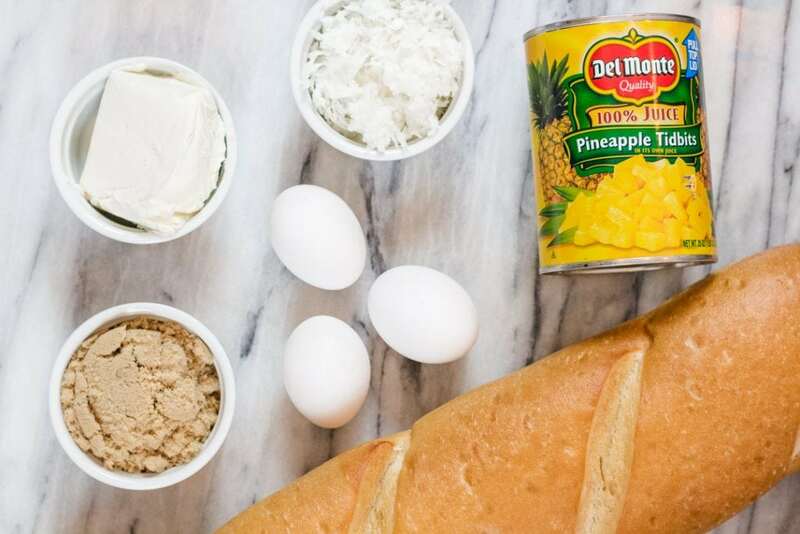 With one loaf of french bread you can make two pans of Baked French Toast and add different ingredients to each to make exactly what suits you best! 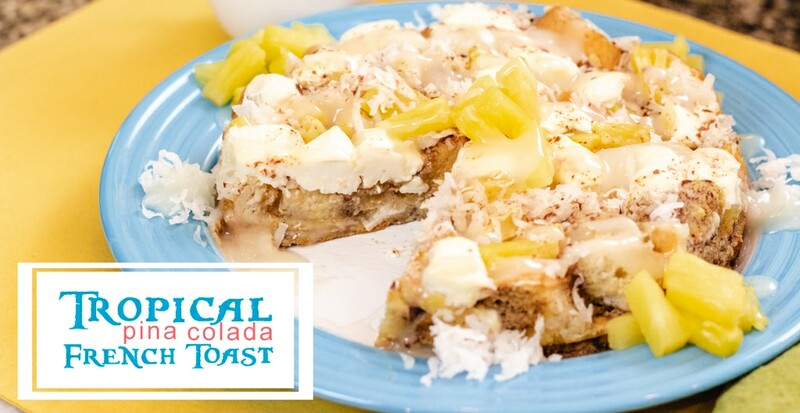 Coconut French Toast is sweet and delicious. 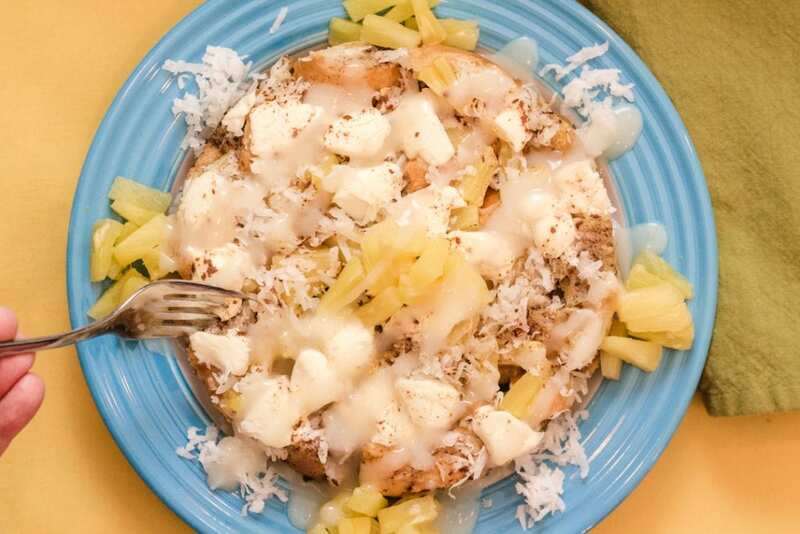 I enjoy the sweet chewy coconut with juicy Pineapple and warm cream cheese over cubes of cut bread. 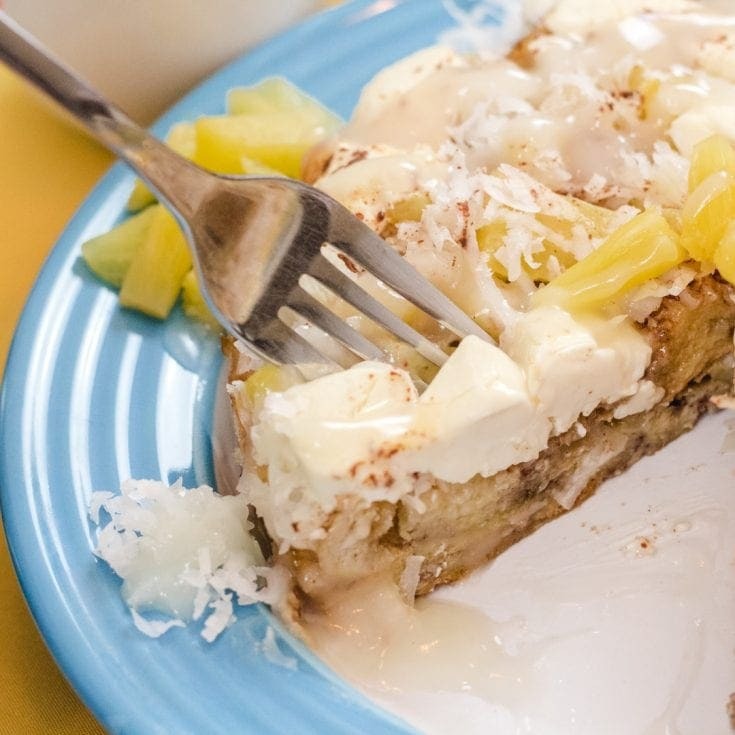 A simple Rum Butter Syrup tops off this amazing Coconut French Toast and a perfect breakfast or brunch anytime of year. Cut and cube the French Bread and tuck the cubed bread into the pan forming a base layer that is fairly tight with the remainder on top. As you pour the milk mixture, slowly pour over each cube of bread. 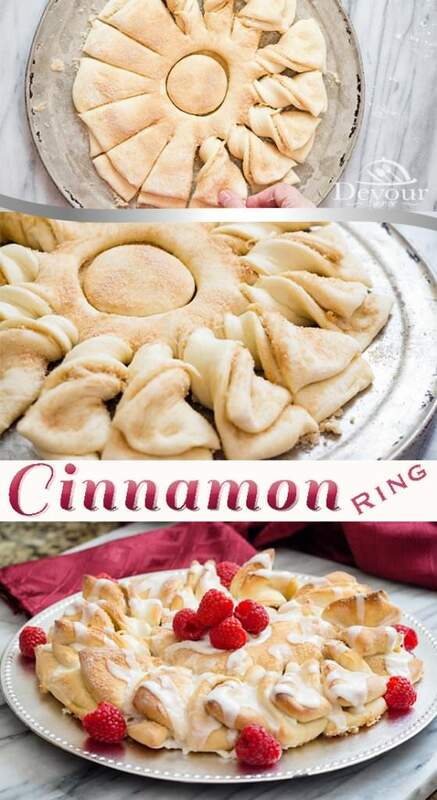 In a separate bowl, combine Milk, Eggs, Cinnamon and Rum Extract. Whisk to combine.